We would like to thank everyone for the pillowcase pledges you have all made! 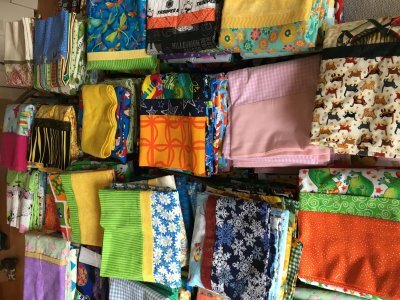 As of July, 2018, you have donated 750 pillowcases! We're well on our way to our goal of 2,000 for 2018! 1) Please click here or see a sales associate in store to register. (minimum of 2 pillowcases per pledged month) and make your pillowcases. 3) For each month that you reach your goal, you will be entered into the $250 Gift Card Drawing* held in December 2018. 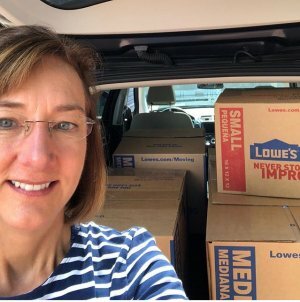 A very special Thank you to Cathy D, our shop's community liason; for volunteering to process our pillowcase donations and take them to the hospital. Cathy washing, presses, counts, and delivers all of the pretty pillowcases. We could not keep reaching these goals without her hard work.